Sir Martin Sorrell is bringing the curtain down on a 32-year career as chief executive of WPP Group, the ?marketing services giant, weeks after its board launched a probe into an allegation of improper personal conduct. 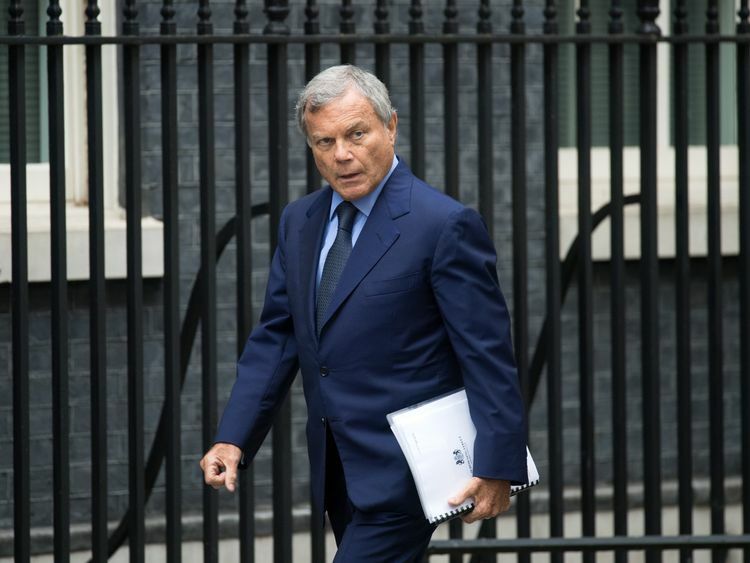 Sky News has learnt that WPP, which owns a string of international advertising and media buying networks supplying many of the world's biggest companies, is preparing to announce Sir Martin's departure as soon as Saturday night. His resignation will be one of the most significant ‎exits of a FTSE-100 chief executive for many years.WPP plans to announce that‎ Mark Read, the chief executive of Wunderman, an agency network it owns, and Andrew Scott, chief operating officer of the group's European business, will take over as interim joint chief operating officers.Roberto Quarta, WPP's chairman, will become executive chairman while a permanent successor to Sir Martin is identified, according to insiders.The company's statement is also expected to say that Sir Martin will remain available to assist with the transition to new leadership, and add that the investigation into the allegation against him has now concluded, they added.In an email to WPP staff on Saturday night seen by Sky News, Sir Martin said it was "in the interest of our clients...and all our other stakeholders...for me to step aside". Sir Martin's resignation will come 10 days after WPP said it had appointed independent counsel to investigate "an allegation of personal misconduct" against him.The company added that the allegations did "not involve amounts which are material to WPP", implying that the potential misuse of company funds form‎ed part of the probe.Sir Martin said last week that he rejected the allegation "unreservedly but recognise that the company has to investigate it".He added: "As a significant share-owner, my commitment to the company, which I founded over 30 years ago, remains absolute - to our people, our clients, our shareholders and all of our many stakeholders. "Having denied the unspecified allegation made against him by a whistleblower, Sir Martin's decision to resign will inevitably spark speculation about the nature of the claims made against him.However, by resigning, he is likely to be deemed a "good leaver" by WPP's board, meaning that the investigation against him will be concluded without the details being made public.Sir Martin is also likely to be allowed to retain on a pro rata basis significant amounts of unvested WPP stock which would be released, based on the company's performance, over the coming years, sources said. As the architect of the global empire which began in the humble form of the cash shell Wire and Plastic Products, Sir Martin has amassed rich rewards from his success. He owns shares in WPP worth more than €200m‎, while his annual remuneration packages - he earned €70m two years ago - have made him a target for critics of lavish boardroom pay.The 73-year-old also established himself as one of relatively few British business leaders who are recognised around the world.With WPP operating in more than countries, Sir Martin has cultivated a global reputation as a commentator on economic and political matters, forging relationships with government ministers, financiers and corporate bosses around the world.However, his departure will leave the company he built virtually from ‎scratch facing profound questions about its future direction.The marketing services industries are being buffeted by accelerating trends such as zero-based budgeting, which has led to many consumer-facing companies abandoning increases in marketing spending.WPP's biggest clients globally include the likes of Ford, Procter & Gamble and Unilever, which it services through traditional advertising agency networks such as Ogilvy, J Walter Thompson and Grey.Some multinational advertisers, including P&G, which owns ‎Ariel and Gillette, have signalled their intention to take more of their marketing services activity in-house, reducing the lucrative work for which they are charged by external agencies.That has left WPP and its peers - the French group Publicis and Interpublic of the US - being buffeted by headwinds which also include the disintermediation of digital platforms such as Facebook.WPP has seen its ‎shares fall by nearly a third during the last 12 months, although it still has a market capitalisation of more than €15bn. 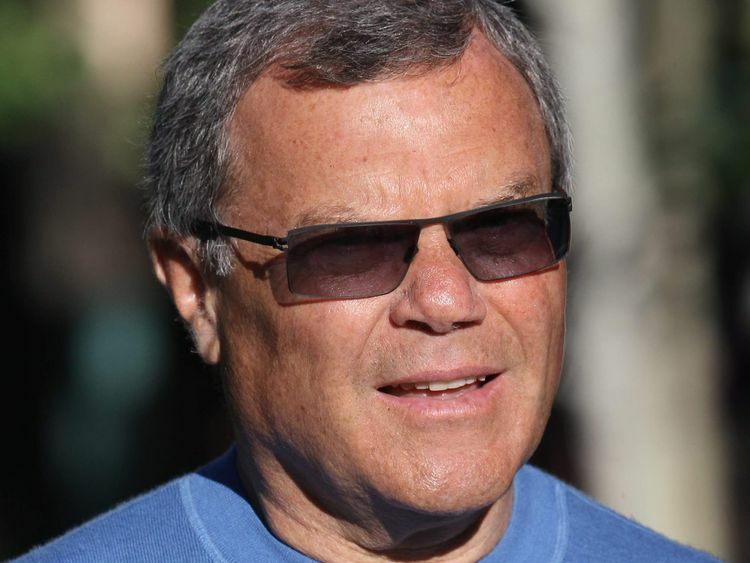 The external pressures on the company have led WPP's board to conclude that it should explore a sale of Kantar, its market research arm, which could command a price tag of about €3bn.WPP declined to comment on Saturday evening, while Sir Martin could not be reached for comment.